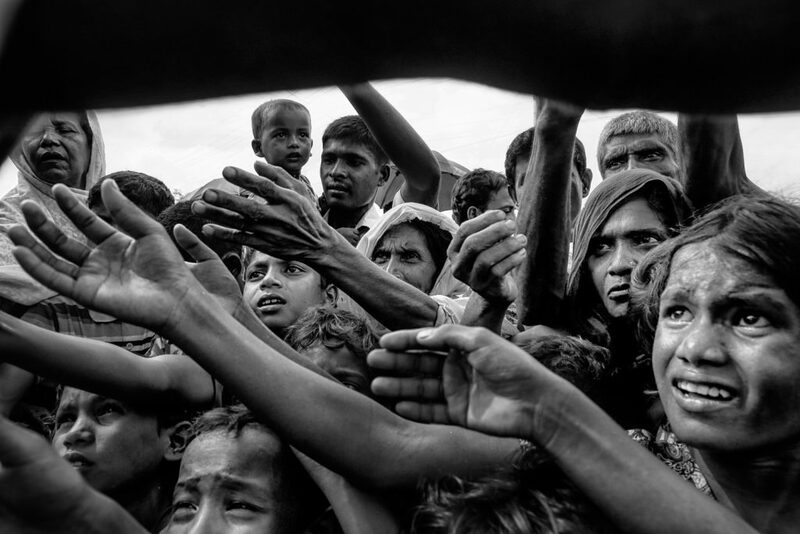 This documentary project focuses on the current condition of the Rohingya people, who are the victim of the ethnic cleansing that started on 25 August 2017. 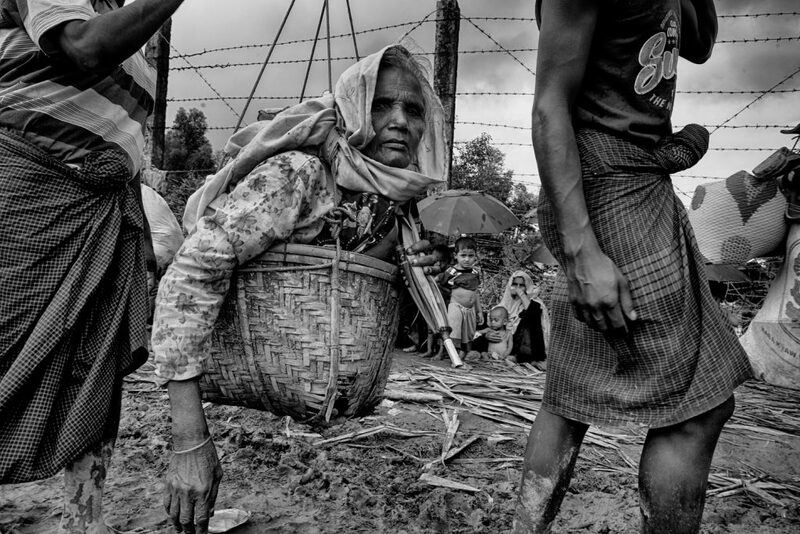 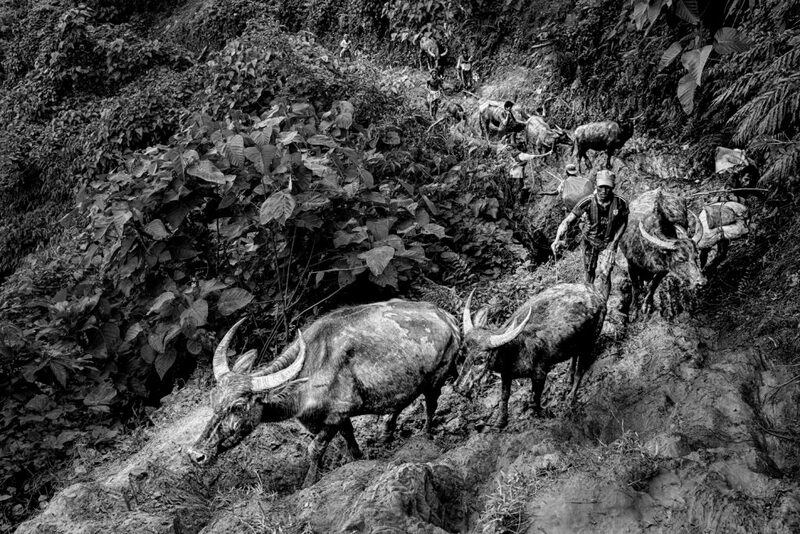 The main focus is on visualising the struggles of people who lost family members and left everything in Myanmar to enter Bangladesh as refugees. 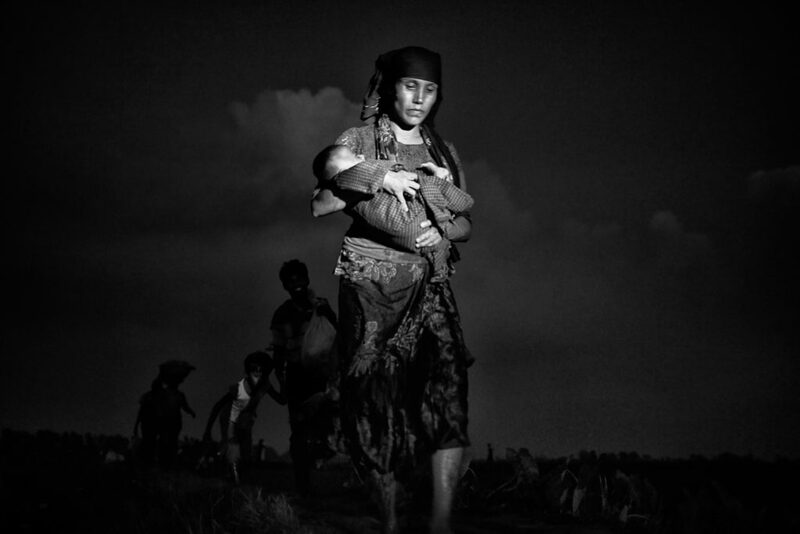 It looks at their daily activities and documents how they are coping with their trauma. 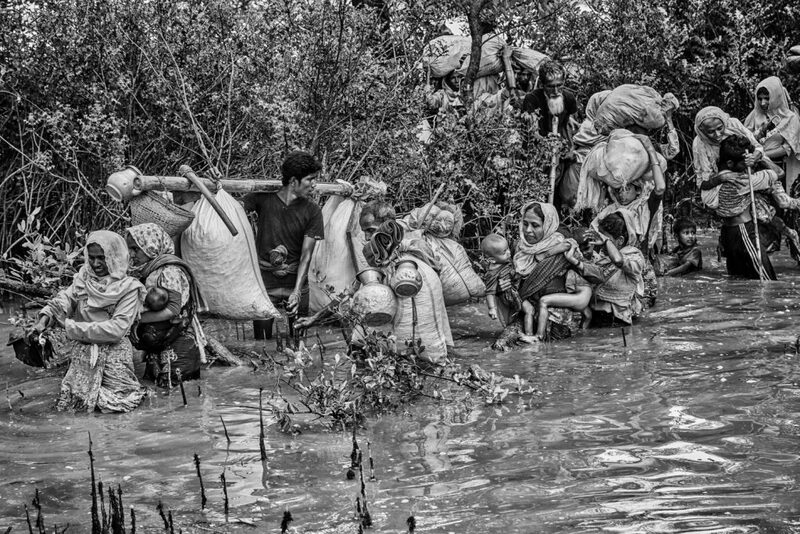 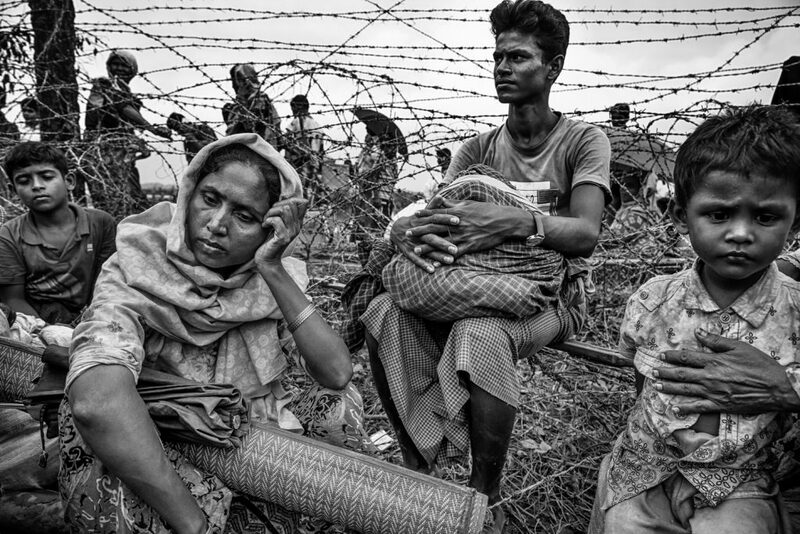 ‘The Great Exodus: People With No Land’ started on 27 August 2017 with photographs of a Rohingya family with members who have died or been wounded as well as video interviews. 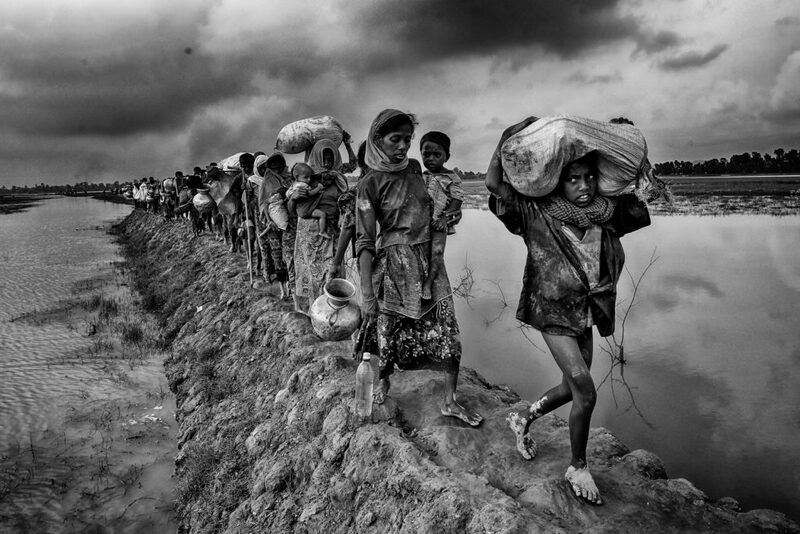 The project aims to tell the truth about the sufferings of the Rohingya people and the injustice done to them. 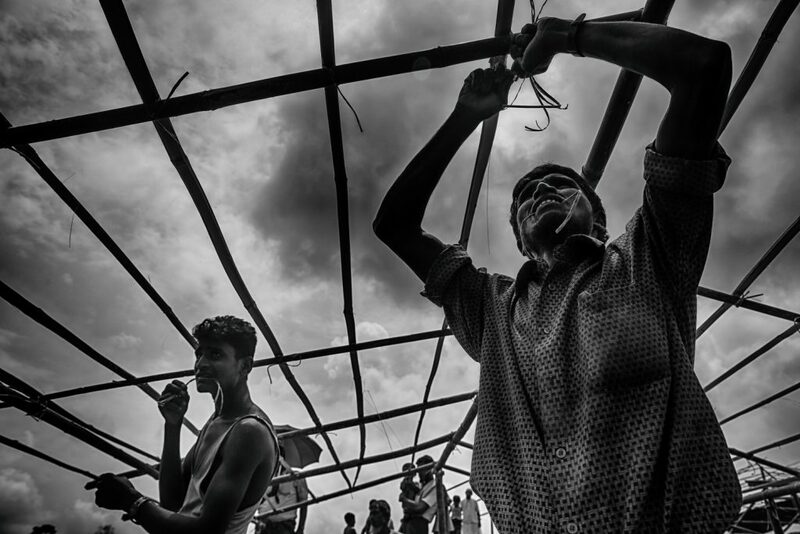 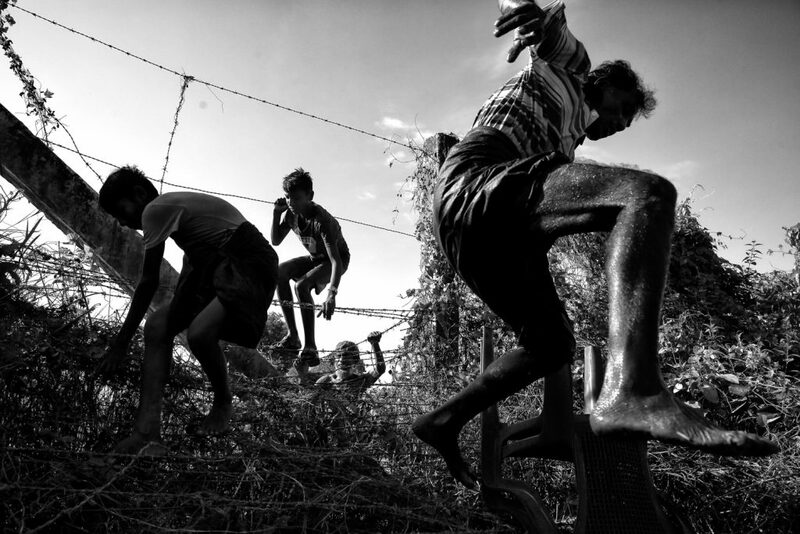 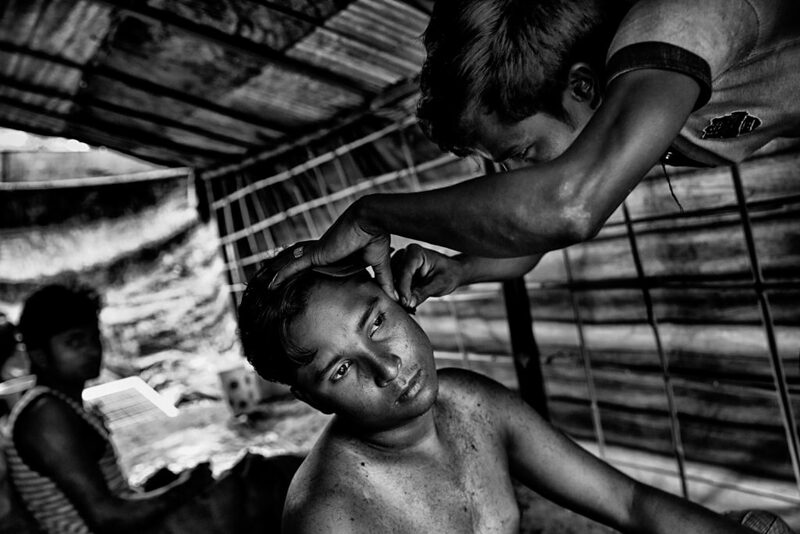 Mushfiqul Alam (b.1996) is an independent Bangladeshi photojournalist based in Dhaka, Bangladesh. 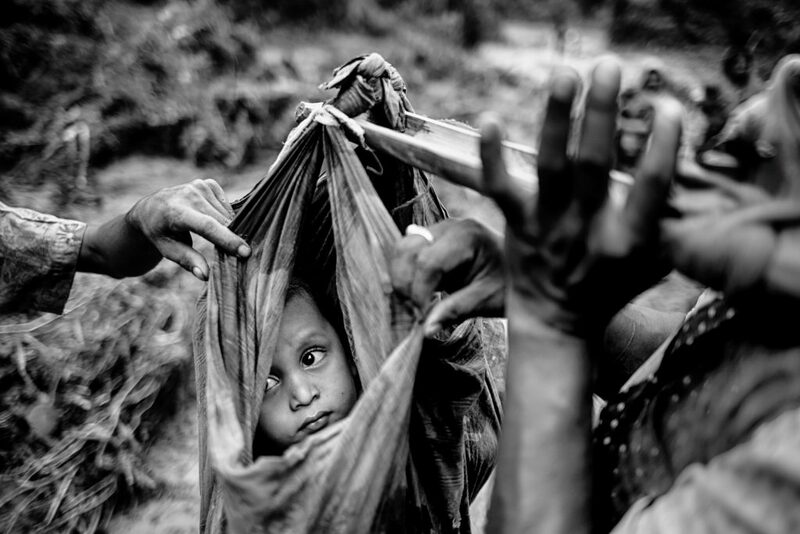 He has been shortlisted in the Sony World Photography Awards, was winner of Urban Photographer of the Year, had honourable mentions in the Prix de la Photographie and the Black and White Spider Awards, and also won the Special Prize by Jury at the Days Japan International Photojournalism Awards. 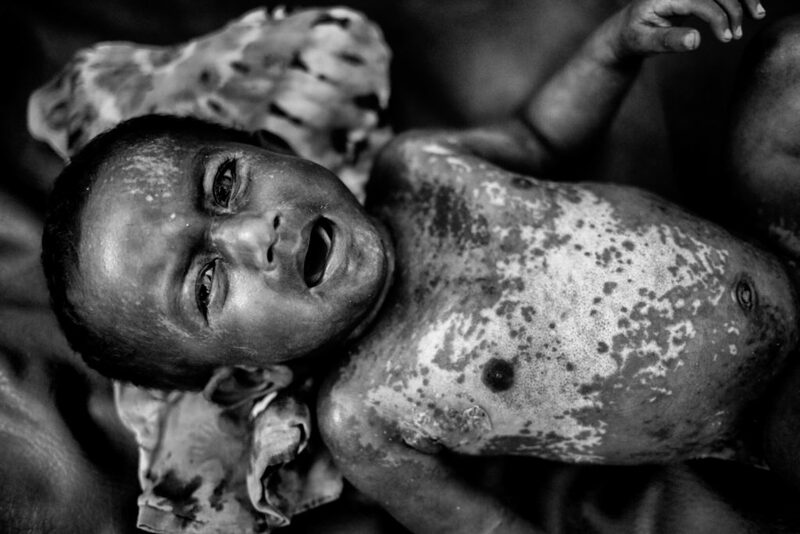 His work has appeared in the New York Times, the Guardian, the Wall Street Journal, and the Huffington Post to name a few.